Gabriel James Ortiz Sr., 43, charged in Tuesday's Bailey Street homicide of Ernesto Hernandez was arrested Friday in Winters. RUNNELS COUNTY, Texas — A 43-year-old San Angelo man who has been charged in the murder of a 28-year-old San Angelo man is in custody again. Gabriel James Ortiz Sr. was arrested Friday in Runnels County. 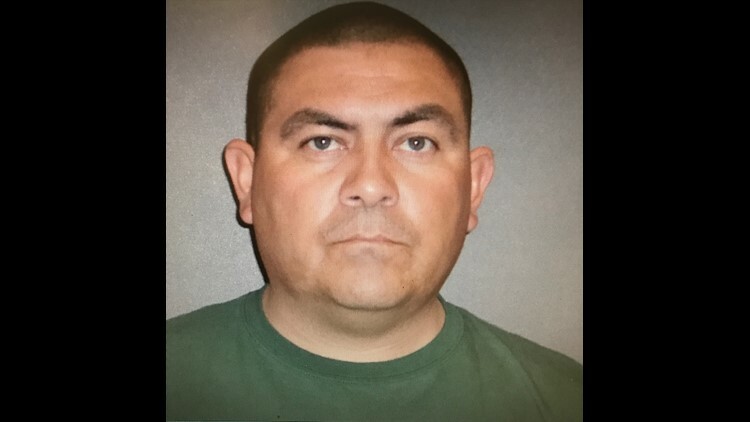 According to a release from the Runnels County Sheriff's Office, an arrest warrant for Ortiz from Tom Green County Justice Of the Peace Court Pct. 2 JP McGuire. The warrant was on a charge of obstruction or retaliation, a third degree felony. Bond for this charge was set at $250,000. Ortiz was found at a residence in the 300 block of Wood Street in Winters. Runnels County deputies and Winters Police Department officers contacted Ortiz at the residence. Ortiz was arrested without incident. As of Saturday morning, Ortiz remains in the Runnels County Jail. Less than 48 hours after he was charged with the murder of Ernesto Hernandez, Ortiz bonded out of the Tom Green County Jail.